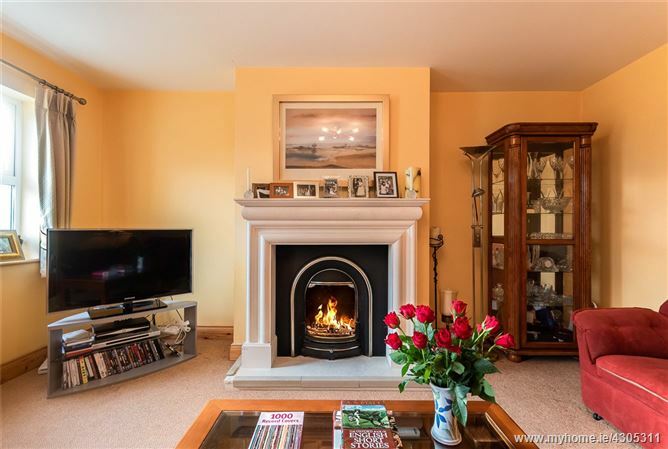 4 Bedroom detached family home within 1.7km of Kenmare Town. 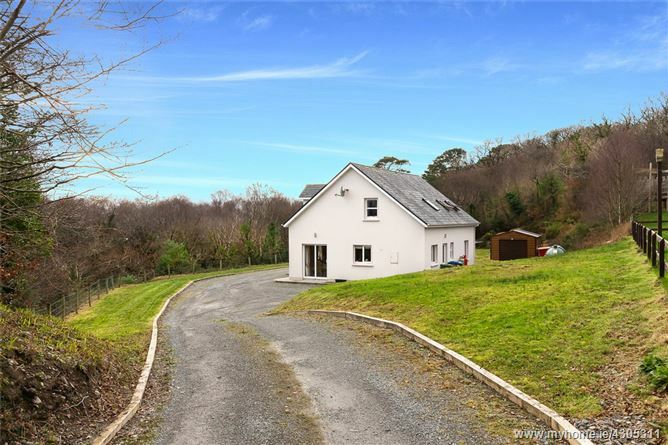 This beautifully presented property is set on an elevated site of 0.59 acres with a southerly aspect. 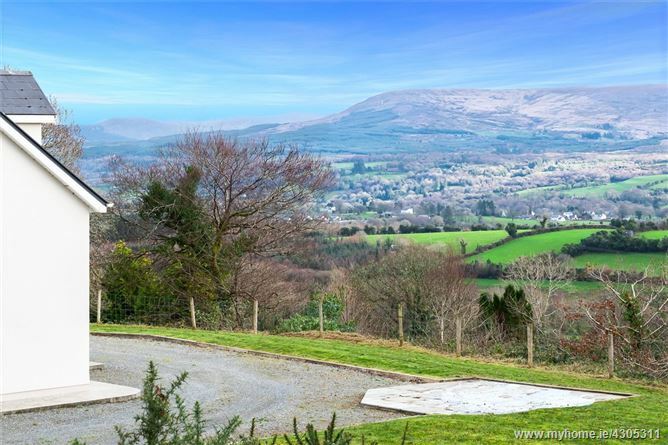 The property boasts has commanding views of the Caha mountains and Kenmare Town. 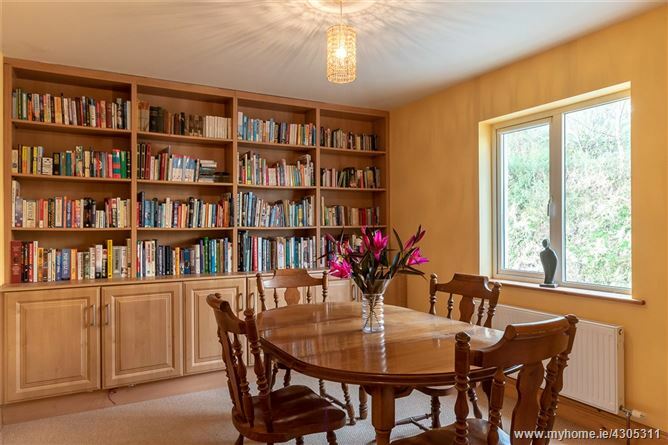 The 1711 sq.ft. 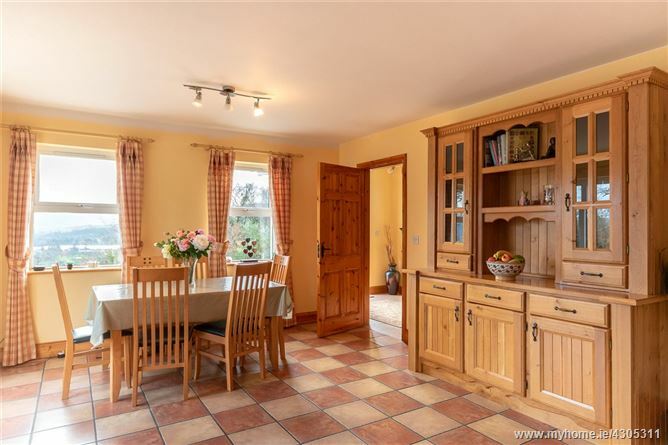 property consists of kitchen/dining room, living room, bedroom, bathroom and utility. 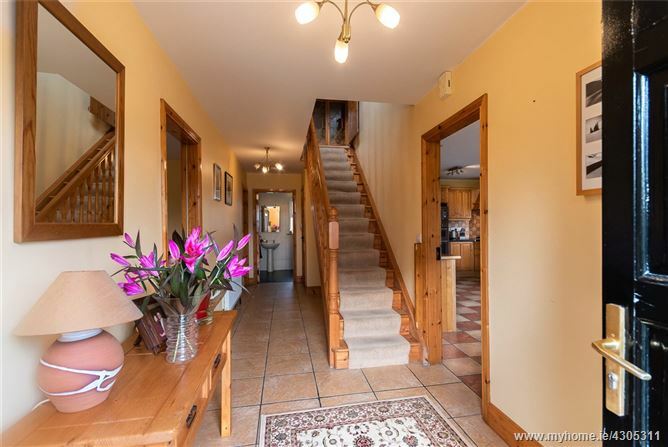 Located on the first floor is the master bedroom with walk-in wardrobe and ensuite. 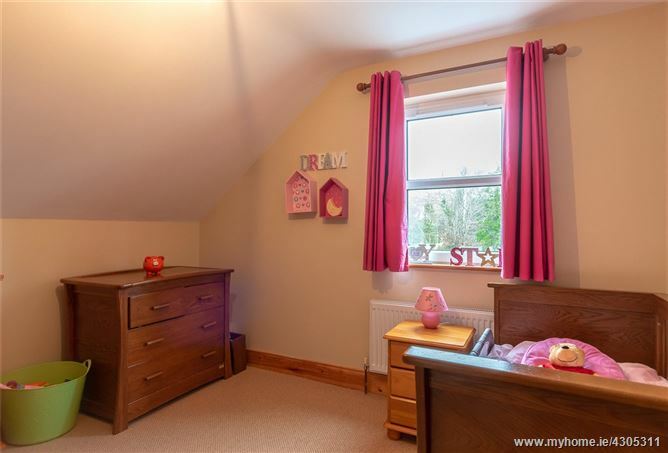 A double & single bedroom and family bathroom. The property was built in 2004. 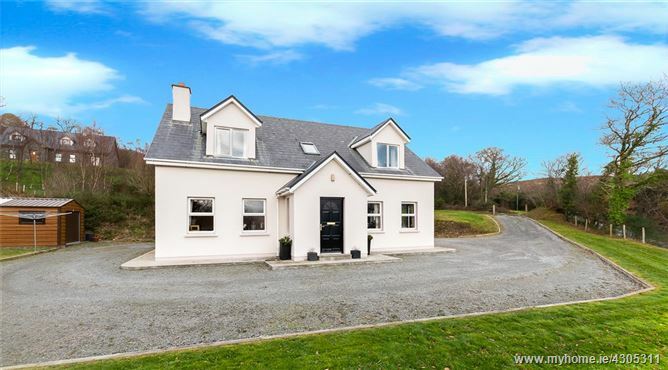 This is an ideal location for a family as its within 1.2 km of the local school, crèche and shopping centre and 1.7km from Kenmare Town . 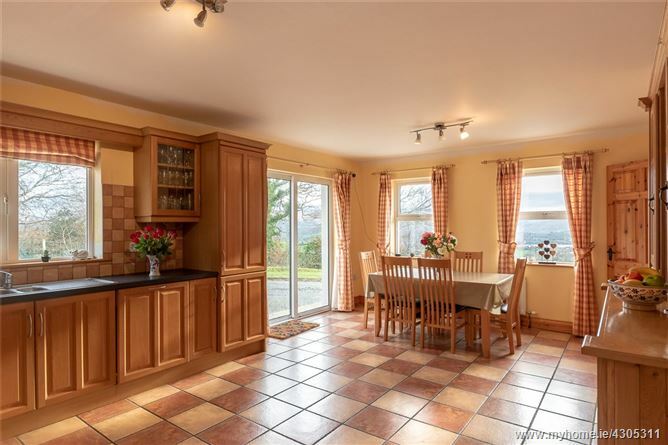 Kitchen/Dining Room Open plan living and dining room. 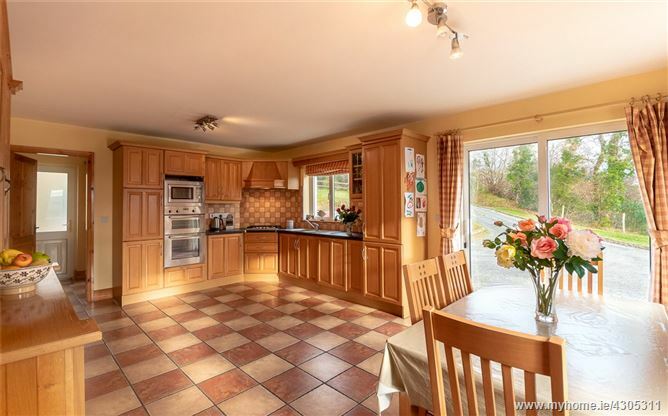 Solid fitted kitchen with integrated appliances. "Whirlpool" dishwasher. 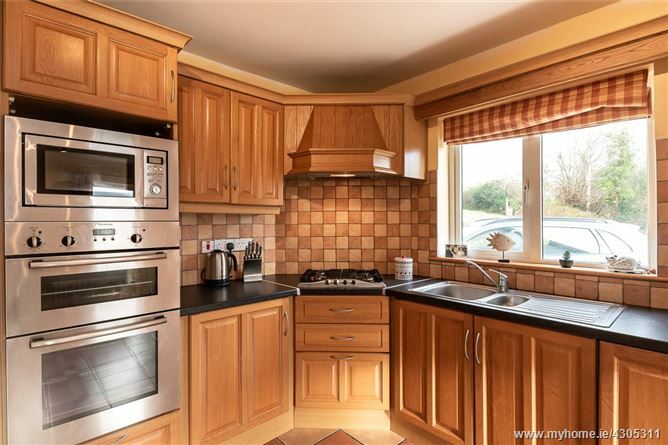 "Electrolux" fridge freezer, oven and microwave. 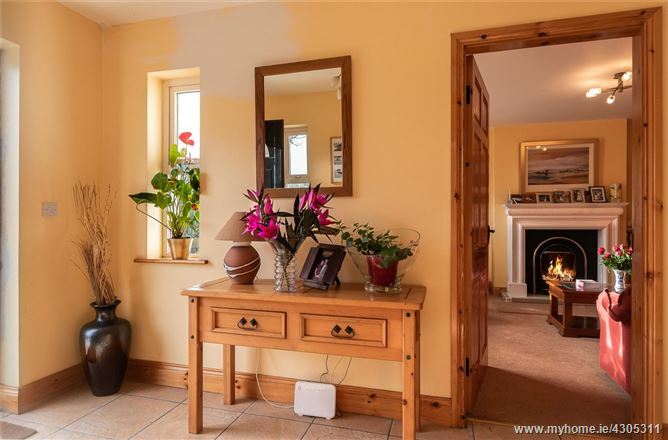 Tiled floor. 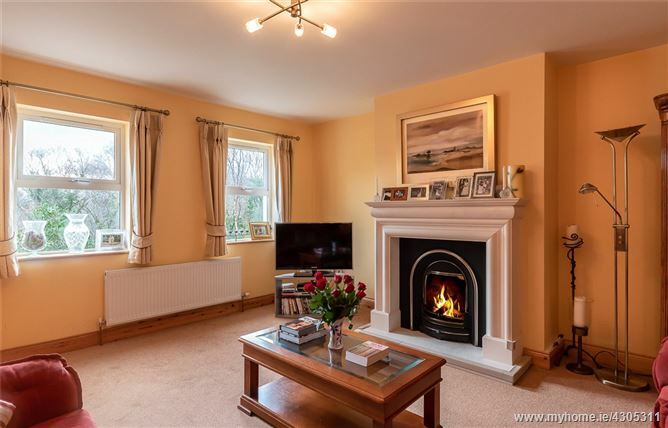 Living Room Family living room with gas fire place. 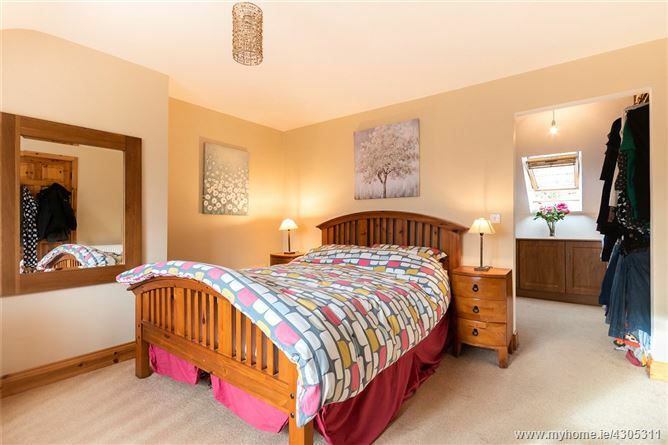 Bedroom 2. 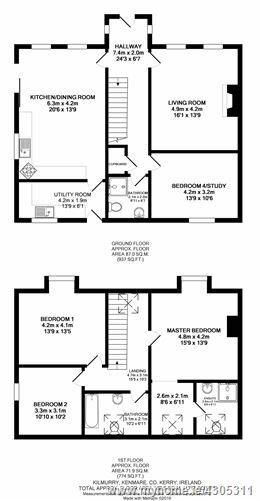 Double bedroom, large built-in storage unit. Currently being used as a office/playroom. Bathroom W.c., w.h.b, "Mira" electric shower. Fully tiled. Utility Room Fitted units with sink, plumbed for washing machine and dryer. 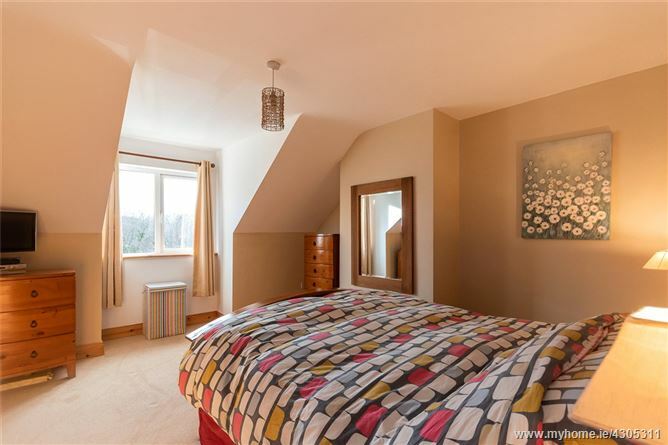 Master Bedroom Double bedroom with view of mountains. Walk-in wardrobe with ample storage space. Ensuite W.c., w.h.b, "Mira" electric shower. Fully tiled. 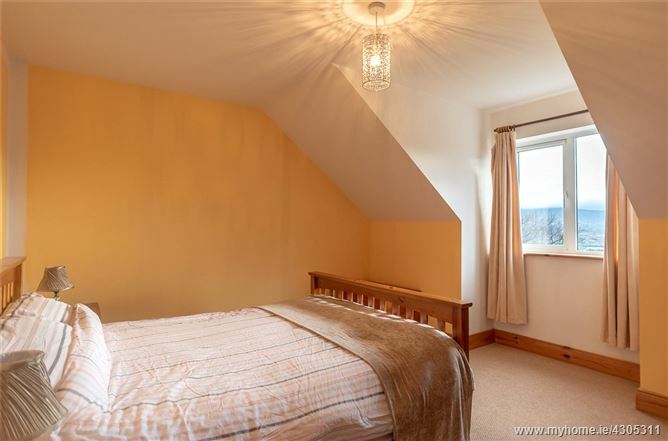 Bedroom 3 Double bedroom with mountain views. Bathroom Family bathroom with W.c., wh.b. 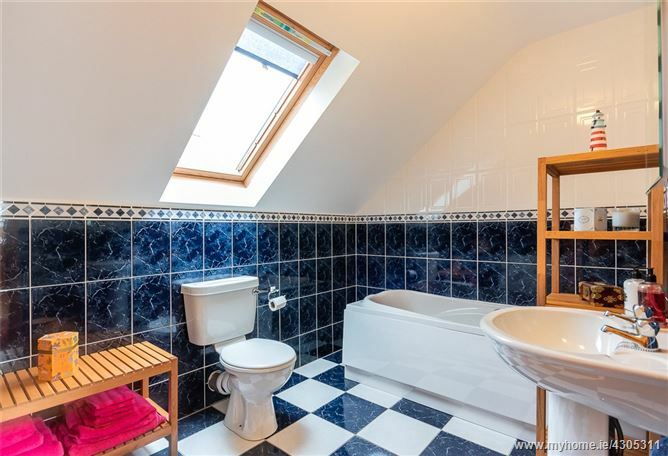 and bath. Fully tiled. Garden Shed 4.4m x 3.5m. "Steeltech" shed with Roll-al-door. Concrete base and wooden floor. Ideal for storage of garden equipment. 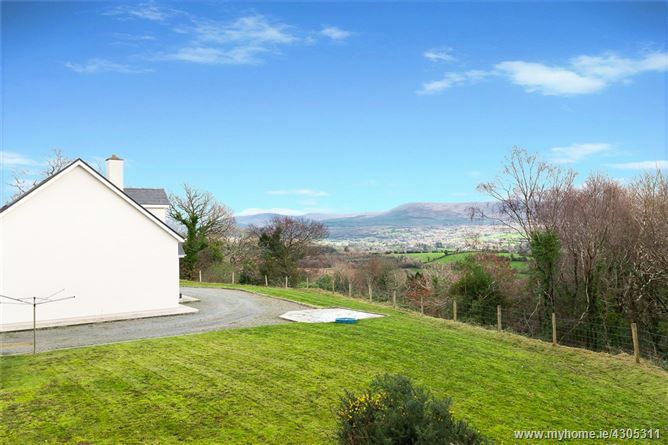 Elevated location with views over Kenmare Town. 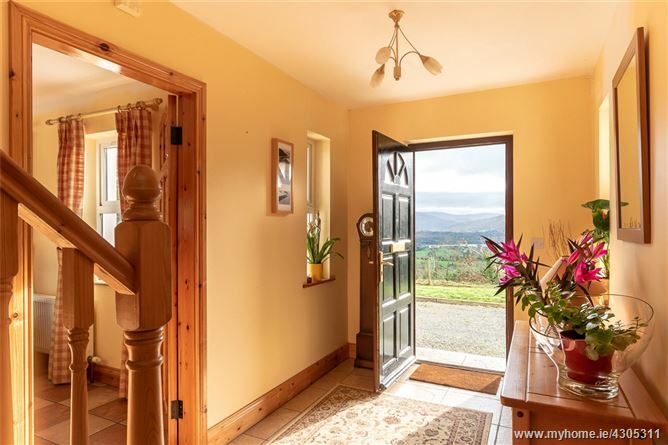 Close proximity to Kenmare Town. 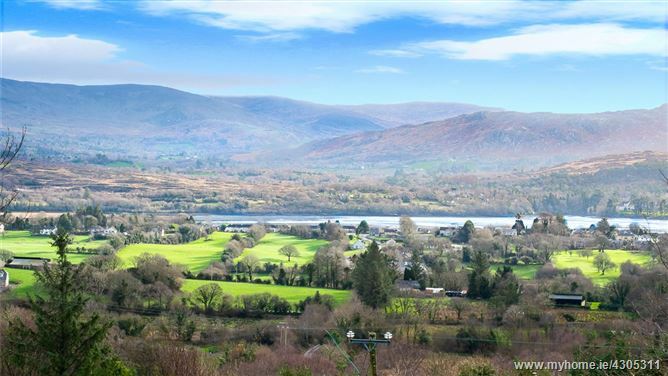 From the square in kenmare pass the catholic church. Continue on this road for 0.5km. 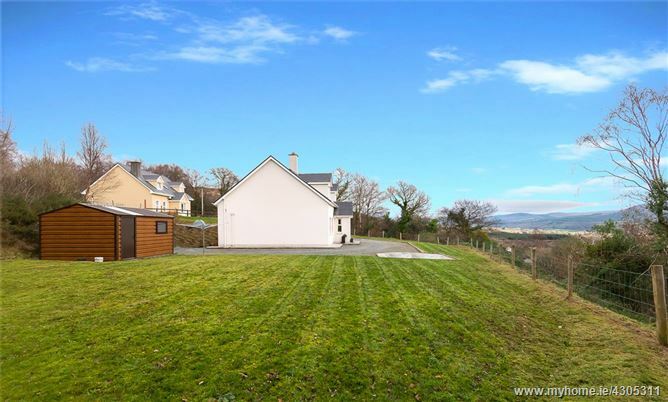 After the schools and shopping centre take the second right (up Kilmurry hill), continue on this road for 1km and the house will be on your left.